Air traffic control company NATS, has been recognised with a ‘Big Tick’ as part of the prestigious Responsible Business Awards 2014, run by the charity Business in the Community. A Big Tick is an endorsement of responsible business, and companies are awarded for initiatives tackling a range of issues: from embedding environmental sustainability into its products and services to building long-term partnerships with communities. 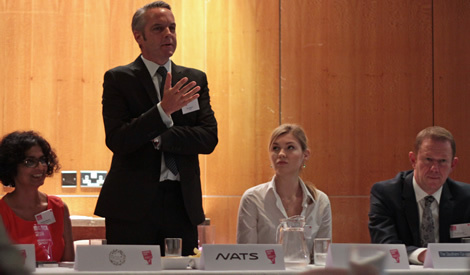 NATS achieved the Big Tick in the Sustainable Products and Services category for its 3Di tool that measures the environmental efficiency of an aircraft’s route and trajectory. NATS collected their Big Tick trophy at the South East Responsible Business Awards Showcase on 12 June in Havant. Some of the Big Tick companies from across the UK were also shortlisted to present their initiative to a select group of senior business peers to identify an overall winner in each category. Winners will be announced in London at Business in the Community’s National Awards Gala Dinner, in the presence of HRH The Prince of Wales and in partnership with the 2013 Responsible Business of the Year Jaguar Land Rover, on 8 July 2014.